In the selfless name of research, I am once again going on assignment for my local readers. You may remember my Pumpkin Donut Challenge from October, and that was a filling and delicious task to undertake. My winner of the area's best pumpkin donut was Herman's on Five Mile Line Road in Webster. I will be starting a new challenge--The Cupcake Challenge. 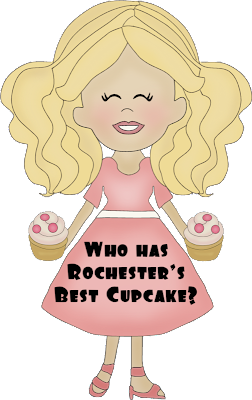 I am looking for the best cupcake in Rochester. I will begin my challenge at some point next week.